With the sudden craze of the Rainbow Loom kits becoming so popular these days, we know that many young children are dreaming of a Rainbow Loom themed birthday party. These super fun rainbow colored rubber band bracelets are a fun craft activity for all ages and skill levels. Kids (and parents too) enjoy creating intricate loom bracelets that can be worn, traded, or used for multiple purposes. 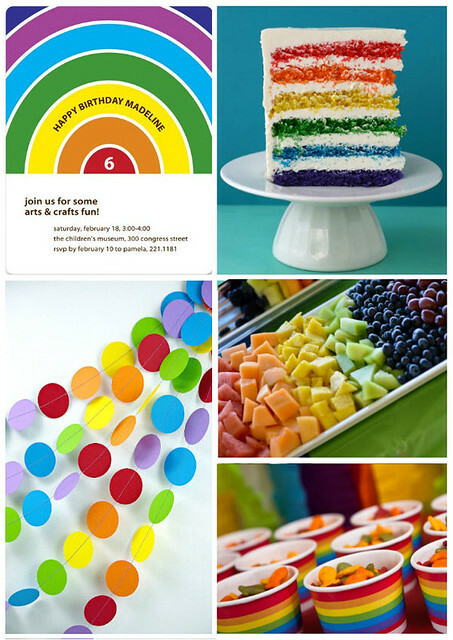 With that in mind, we decided to throw together ideas for a great rainbow themed party that you can incorporate in with the rubber band crafting trend to host a sensational birthday party event. For more great children's party ideas, check out our Pinterest boards. Do your kid's use a Rainbow Loom? Tell us if they are into this trend in the comments below.